In Hispania the civil war is over. Rome is controlled by one man: Julius Caesar. But his ambition is limitless and he knows a place in the northern hills that harbours a secret that could guarantee the power he craves. 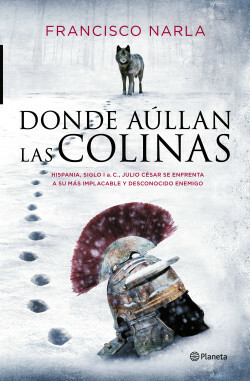 He sends a chosen group of legionaries to ancient Galicia, disguised as hunters sent to deal with the wolves that hound the livestock of local tribes. But something goes wrong. The last pregnant wolf is hunted down but her mate will be pitiless with the men who killed her. He will pursue them right to the heart of Rome and bring a halt to Julius Caesar’s secret plans. A historical novel full of adventure and tension that explores the ancient battle between man and nature. An essential read.